It's a party platter of Mega Maki, Super sashimi, and endless edamame in this expanded version of the best-selling card game. You still earn points by picking winning sushi combos, but now you can customize each game by choosing a La carte from a menu of more than 20 delectable dishes. 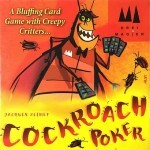 What's more, up to 8 players can join in on the sushi-feast let the good times roll!. The classic game of armored warfare on the Eastern Front in World War II. Originally published in 1971. Shenandoah covers the remarkable Valley Campaign of May/June 1862. Led by Thomas 'Stonewall' Jackson, a smaller Confederate army with audacious marching and fighting, paralyzed and defeated three enveloping Union armies. t is the dawn of the thirty-first century. You are a MechWarrior: master of a multi-ton, towering avatar of destruction that is the culmination of more than 3,000 years of battlefield technology development. A precious heirloom passed from parent to child across centuries, an unassailable mark of your station. Whether a soldier-of-fortune or a true-blue patriot, you drop into hot zones across a thousand worlds to expand the star-spanning empire of one of the noble Great Houses. 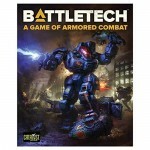 BattleTech is the world’s greatest armored combat game, filled with a myriad of epic stories and gaming experiences to satiate any player: miniatures to RPG play, hobby painting to fiction, and beyond. "This is a great game, that takes the solitary sci-fi..."